In human biology, our proteins are the key players in managing normal cell and tissue growth and development. When certain proteins—particularly ones that focus on cell replication and the synthesis of other proteins—malfunction or otherwise don’t do their duties, their irregularities can have implications for diseases ranging from cancer to HIV. Identifying and understanding these key proteins, and what happens when they glitch, could help point the way to new treatments in diseases. Katherine Jones’ work focuses on a process called transcription elongation, which controls the expression of HIV and cancer genes. 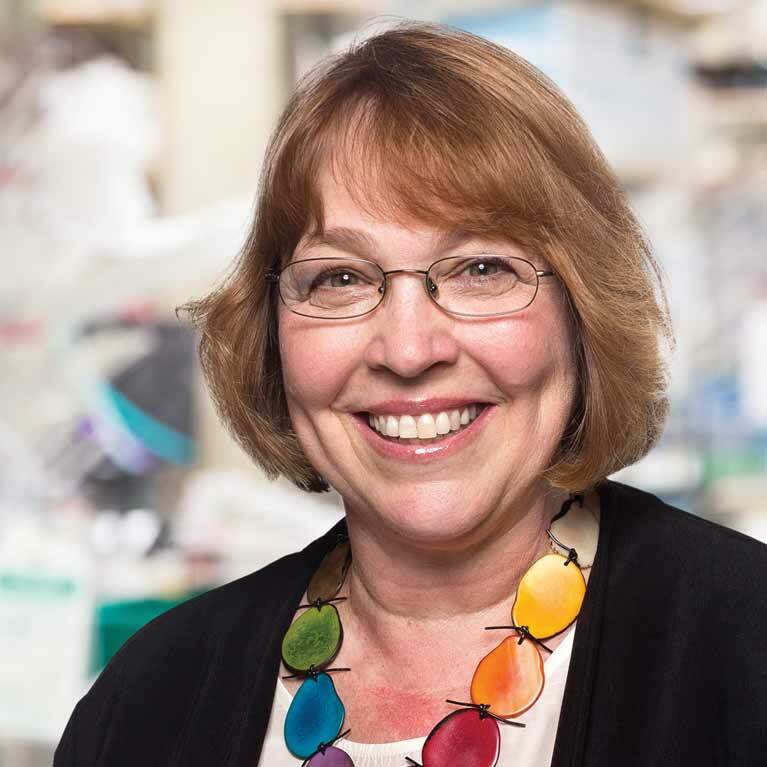 Her lab uses proteomics to identify new players in this step, and molecular biology and genetic approaches to understand how these proteins coordinate their unique molecular activities to regulate genes. 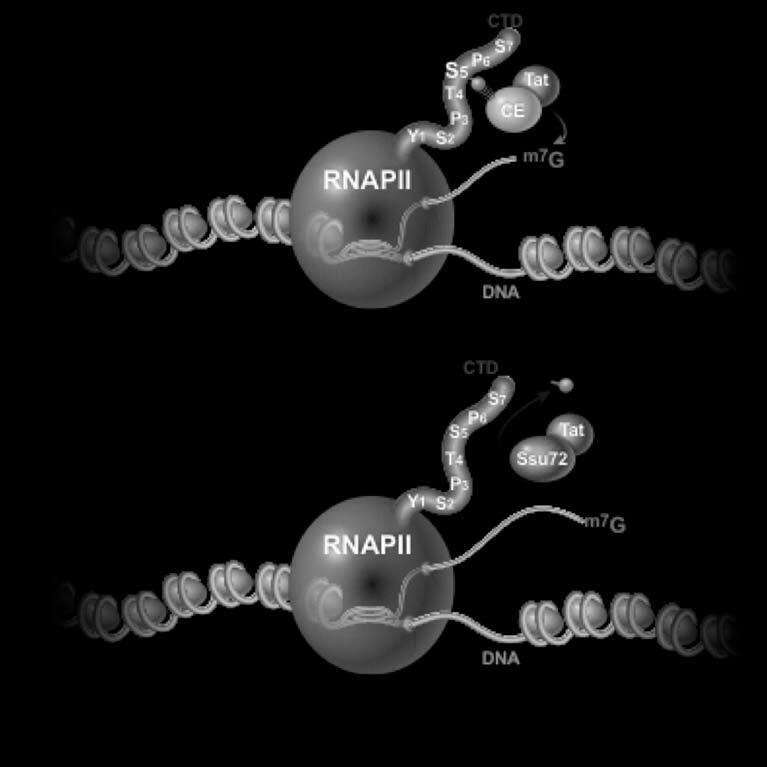 The Jones lab has identified a class of proteins, called elongation factors, which play a pivotal role in the expression of cellular and viral genes. 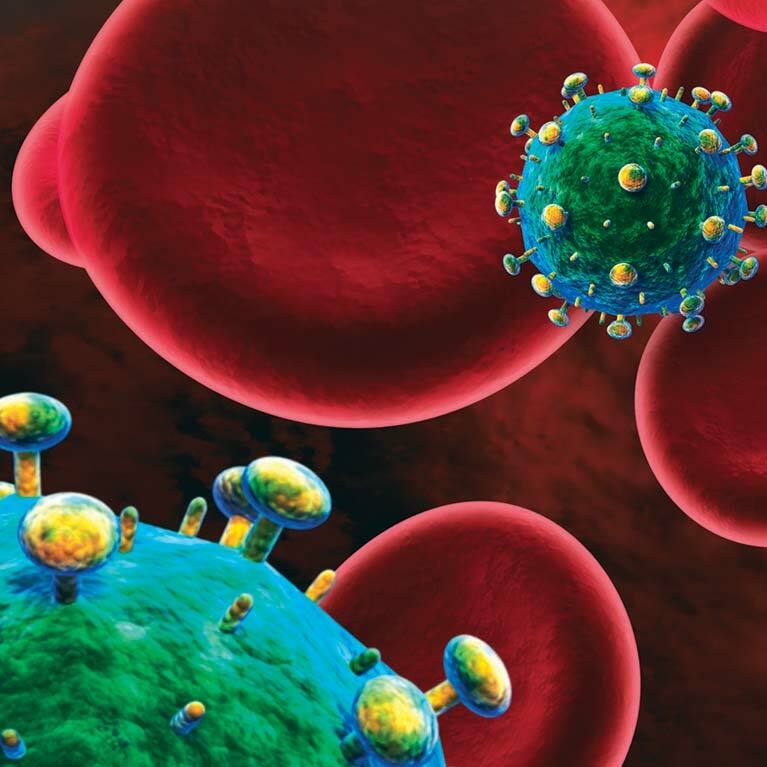 These proteins potently induce HIV in activated T (immune system) cells, determine whether embryonic stem cells will differentiate to specialized cell types, and are mutated in leukemia and other cancers. Understanding how these proteins function will help suggest new approaches to intervene in many human diseases. 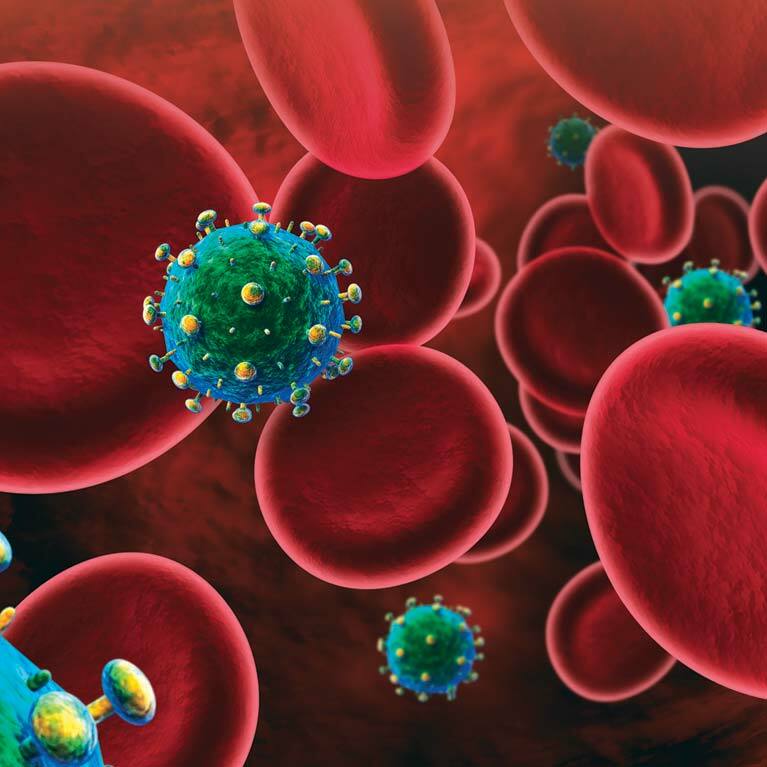 Jones discovered two critical proteins required for HIV gene expression, CycT1 and Ssu72. Her team detailed how the HIV Tat protein (created by HIV and essential for its survival) binds and controls the activity of these proteins. Identifying small molecule inhibitors of these enzymes could lead to new therapeutic targets for HIV infections. Jones and her team found that the APC protein, which is mutated in colon cancers, regulates the expression of important growth control genes. She showed that the mutant APC protein expressed in colon cancer cells fails to turn off these growth control genes because it is unable to bind to a specific protein that prevents metastasis. As a result, the mutant APC protein in colon cancer increases the stable expression of cancercausing proteins and prevents the normal shut-off of genes that induce cell growth. 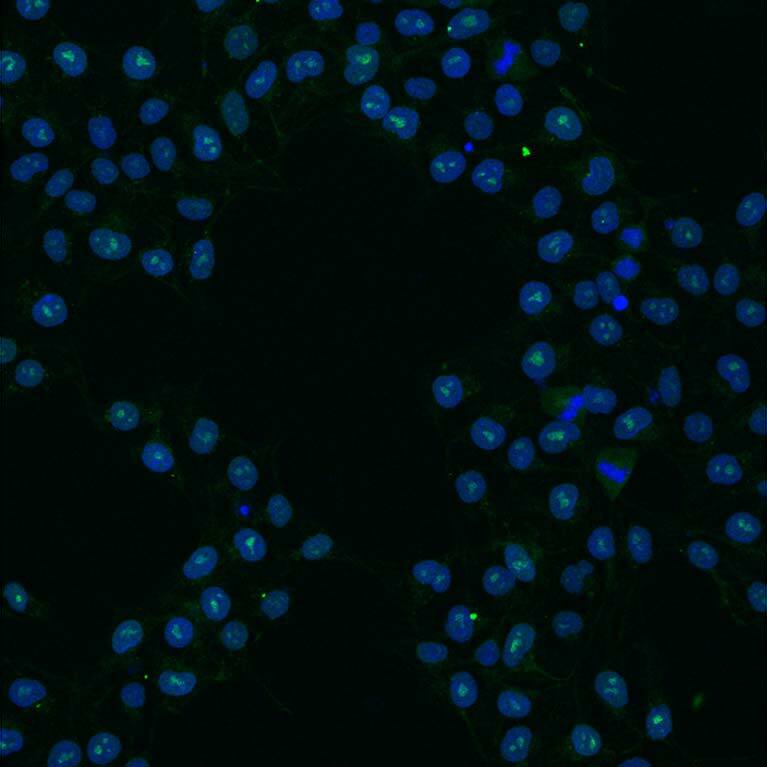 The lab has recently shown that the transcription elongation factors are also important for differentiation of human embryonic stem cells to specialized cell types. 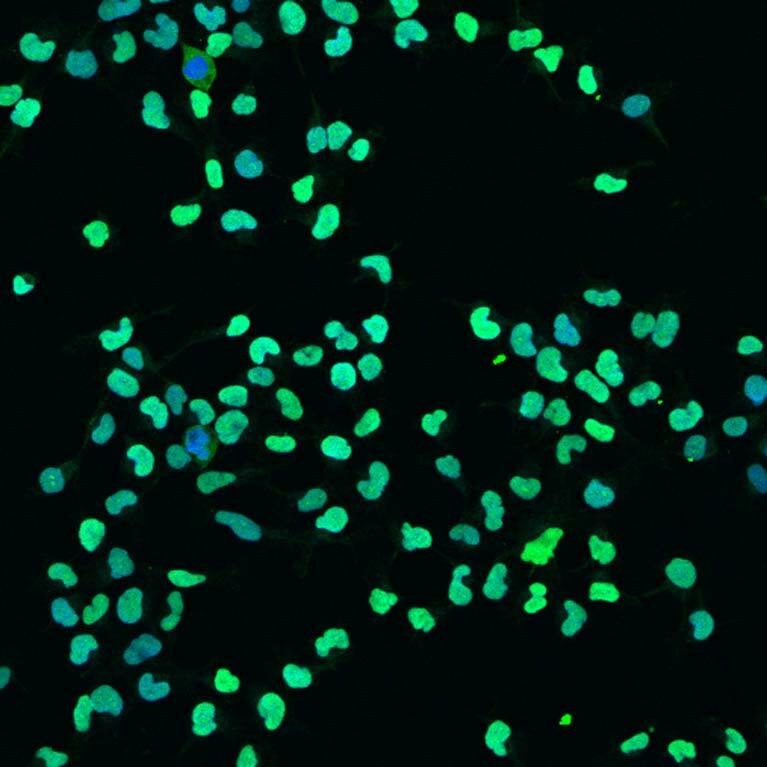 The response of these stem cells to differentiating signals from the environment mobilizes these elongation factors and pushes these cells toward cardiac, liver and pancreatic precursors, suggesting a possible role for these proteins in future stem cell therapies.